This page is for the original DOS release. 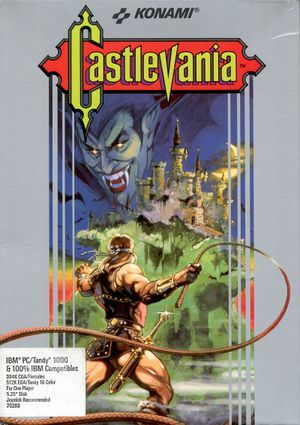 For the re-release, see Konami Collector's Series: Castlevania & Contra. On/off only (toggle with Ctrl+B for Background Music, Ctrl+E for Sound Effects). The following parameters can be used for CCGA.EXE, CEGA.EXE, and CTDY.EXE (e.g. use CEGA ADL for EGA graphics with AdLib sound). These options are also available by running PLAY.BAT. IBM IBM (PC Speaker) sound. ↑ VOGONS • View topic - Castlevania command-line options?